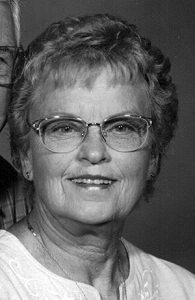 Phyllis J. Deuster, 84, of Lady Lake, Fla., passed away peacefully on Wednesday evening, December 26, 2018. Phyllis was born May 3, 1934 to A. Dale and Magdalen (Campbell) Baum in Charlotte. She graduated from Charlotte High School where she enjoyed playing the alto saxophone in the band. Phyllis was an avid golfer and also enjoyed playing horseshoes, bowling, card club, mahjong, going on cruises and activities with The Villages Michigan Club. She retired to the Villages in 1988 from Charlotte, with her late husband Walter T. Deuster. Phyllis is predeceased by her husband Walter Deuster; former husband, Henry Moore; stepson, Ron Moore; and companion, Thomas Lowe. Phyllis is survived by son and daughter-in-law, Gary and Angela Moore of South Woodstock, Vt.; son, Mark Moore of Dallas, Texas; daughter and son-in-law, Julie and Alex Cook of Bellevue; and brother and sister-in-law, Jerry and Diane Baum of Charlotte. She is also lovingly remembered by her five grandchildren and seven great-grandchildren. Graveside services will be held at 11 a.m. on Monday, January 28, 2019 at Florida National Cemetery. In Lieu of flowers, the family requests contributions in the memory of Phyllis Deuster to Sacred Journey Hospice, 138 Peach Drive, McDonough, GA 30253. Ronnie Dean Maggard, 63, of Charlotte, passed away, Saturday, January 12, 2019, at Sparrow Hospital in Lansing surrounded by his family. He was born February 11, 1955, in Lansing, the son of Daniel and Loretta (Young) Maggard. On April 29, 1972, he married the love of his life Valerie E. Hokonson in Tazwell, Tenn. Ron was a devoted family man. He adored his wife, children, grandchildren, and great-grandson. Ron could often be found fishing, camping, hunting, or just hanging out at Fleet Service with his son-in-law and grandkids. He also traveled all over the country, following his grandson’s motocross competitions. Ron was also a huge Detroit Lions fan. He stuck with them through thick and thin. He always looked forward to a good game of poker with his buddies and trips to the casino. Ron was a magnificent cook and baker. You would often find him in the kitchen making his famous butterscotch pies or homemade noodles. Ron also enjoyed the many friends he made throughout the years while driving the Amish. Ron is survived by his wife of 46 years, Valerie; children, Charie (Dan II) Bryan, Shan (Tom Barthel) Maggard; grandsons, Dan “Bubby” (Bethany Packowski) Bryan III, Ashtin “Bean” (Shauwna) Bryan, Blaze Bryan, Brandon Bryan, Brent Bryan; great-grandson, Dan Bryan IV; mother, Loretta “Pat” Staley; sisters, Louise Haun, Marlene (Richard) Schofield; sister-in-law, Darlene (Dennis) Fast; and his best friend, Lenny the American Bulldog. He was preceded in death by his father; and brother-in-law, Roger Haun. Funeral services were held Thursday, January 17, 2019, at Burkhead-Green-Kilgo Funeral Home, with Pastor Charles Jenson officiating. Interment followed at Bosworth Cemetery in Olivet. Those desiring, may make contributions in Ron’s honor to his family. To view Ron’s obituary online or to leave a condolence for the family please visit burkhead-greenfuneralhome.com. 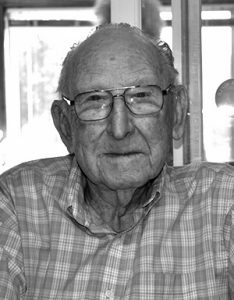 Marlin Elmer Gloor, 99, of Charlotte, died Saturday, January 19, 2019. He was just three months shy of his 100th birthday. Marlin was born April 15, 1919 on the family farm in Hamlet, Ind. to Freed and Edith (Herbst) Gloor. He graduated from LaPorte High School in 1937. Following graduation, Marlin went on to proudly serve his country during WWII. He served as an airplane and engine mechanic and later as a pilot. Over his lifetime Marlin was a warrior; overcoming numerous very serious health scares from meningitis to cancer before advancement of medicine today. On October 25, 1944 Marlin married Nadine Parthun and together spent the next 67 years creating their legacy together before her passing in 2012. Growing up on a farm in Northern Indiana, Marlin grew to love tractors. Following his service in WWII Marlin went to work at Allis Chalmers in parts, service, sales and management before leaving the company in 1976. Marlin later went on to purchase Williams Farm Machinery. He co-owned the business until the late 1980s. Following his retirement, Marlin started to restore tractors. Marlin also enjoyed traveling all around the United States with his wife in their motorhome, fishing, hunting, and working on and flying his airplane with his children. Marlin’s biggest passion in life was his family. Marlin is survived by his loving family; sons, Edward (Charlotte) Gloor of Holland, Penn., David (Michelle) Gloor of Charlotte; four grandchildren; and nine great-grandchildren. Marlin was predeceased by his wife, Nadine; siblings, Marcella Gloor, Marshall Gloor, and Emil Gloor; and his parents. Funeral services were held Wednesday, January 16, 2019 at Pray Funeral Home in Charlotte, with Pastor Michael Rysko officiating. If desired, the family suggests memorial contributions to The University of Michigan Rogel Cancer Center. Friends and family are encouraged to share memories of Marlin on his tribute page at PrayFuneral.com. 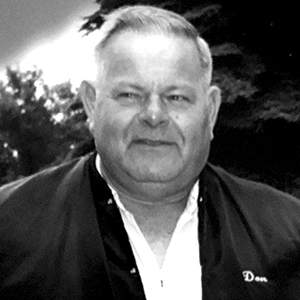 Donald Ray Emenhiser went to his eternal home on January 8, 2019, at the age of 75. Don was born July 3, 1943, in Brooklyn, Ark. to Delmer and Nora (Nelms) Emenhiser. He graduated from Port Huron High School. Don moved to Charlotte in 1962. He worked in construction and owned a business with his brother, Emenhiser’s Builders. Don married Anna Belle (Fraley) in 1989. On most Friday and Saturday evenings you would find Don playing cards with many friends. He was quite competitive when it came to card games. Don and Anna loved to travel. During the summer they would enjoy working in the garden so they would have lots to can for winter. Fall also brought hunting season, which was a favorite as well. Most importantly, Don loved family gatherings. Don was preceded in death by his father, Delmer; mother, Nora; and brother-in-law, Jerry Dunn. 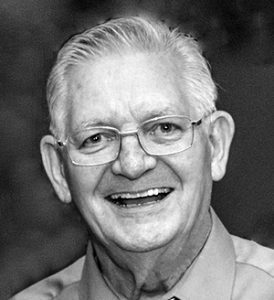 He will be lovingly remembered by his wife Anna Belle; son, Donald (Jaimie) Emenhiser; daughters, Michele (Scott) Snyder, Rebecca (Arnold) Dolman and Barbara (Steven Cook) Emenhiser. Don is also survived by Anna’s children who all dearly loved him as their dad as well, Kimberly (Danny Deater) Marple, James (Angel Hollister) Baker and Shane (Sherri Rinard) Baker; brothers, James (Nancy) Emenhiser, Gary (Sharon) Emenhiser and sisters, Linda Dunn, Patricia (Lee) Woodhams and Gloria (Ed) DeLong. Don has 16 grandchildren and 18 great-grandchildren. A celebration of Don’s life will be held Saturday, January 12 at 3 p.m. at Charlotte Church of Christ, 64 VanSickle Drive in Charlotte. Family will receive friends before service at 2 p.m.
Alvetta Jean Lea, one of the nicest women in town that made everyone feel welcome in her home, died January 7, 2019. Alvetta, 79, was born at home in Bellevue on February 12, 1939 to Lyle and Ferne (Kinsey) Smith. April 15, 1955 she married her sweetheart, Ronald Walter Lea, and together they raised five children that filled their home with laughter and adventures. Strong in many ways, Alvetta was a survivor, overcoming Polio and Rheumatic Fever in her younger years, then cancer and many surgeries later in life. In addition to raising a family, Alvetta also worked at Gambles Dime Store, and at Fruin Pharmacy in Bellevue as a clerk. Always thoughtful of others, Alvetta crafted over 500 hats, dolls, and scrubbies for many different charities, both through her church and privately. Her positive attitude, even through her illnesses over the years, and her kindness to everyone around her will always be remembered. Alvetta is survived by her husband, Ronald Lea; children, Ron (Rosa) Lea, Terrie (David) Martens, Tammie Gibson, Carl (Diana) Lea, and Tina (Jeff) Scott; 16 grandchildren; 14 bonus grandchildren; 34 great-grandchildren; one great great-grandchild; and brother, Rick Smith. She was preceded in death by her brothers, Robert, Bruce, and Carroll; and sister, Myrna Lynn Avery. Funeral services were held Wednesday, January 9 at Bellevue First Baptist Church, with Pastor Donald Francis officiating. If desired, the family suggests memorial contributions to Pray Funeral Home to help with final expenses. Friends and family are encouraged to share memories of Alvetta on her tribute page at PrayFuneral.com. Marie Josephine McKeon, 89, of Bellevue, former long-time waitress at Jim’s Tiffany Lounge, in Lansing, passed away on January 4, 2019. 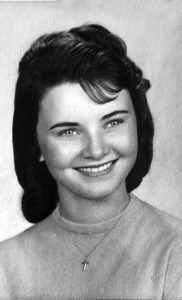 Marie was born on May 3, 1929, to Carl and Leona (Kratochvil) Anderson in East Jordan, Mich. She attended East Jordan High School. Marie married Joseph F. McKeon and together they began their lifelong legacy of 52 years, raising four children and creating lasting memories for them all. Marie’s employment as a waitress at Jim’s Tiffany Lounge for more than 20 years, with her quick and up-beat service, made her a favorite with many legislators that lunched there regularly. Marie was one of those special people that everybody loved; and will be remembered as someone always on the go. Marie was very proud that she and her husband built their own house in Bellevue, with help from their children, their family, and their friends. Marie was also proud of her children, and that she was her daughter, Nancy’s, best friend. Crafts were one of Marie’s favorite things to do. She was an incredible painter, until she lost her eyesight. She loved garage sales and had an official bumper sticker to prove it. Marie was grateful for being a two-time cancer survivor, and felt this to be one of her biggest accomplishments. Marie is survived by her three children; son, Clinton “Harvey” (Tami) Bates; daughter, Nancy G. (Ronald, Sr.) Feher, and son, Michael P. (Lynn Granger) McKeon; brothers, Don and Bill Anderson; son-in-law, Bill Dixon; 10 grandchildren, Ryan, Nicole, Jenny, Michael, Ann Marie, Lisa, Sandi, Cindi, Nicki, and Ronny; and 13 great-grandchildren. Marie is predeceased by her husband, Joseph; daughter, Pamela Ann Dixon; grandson, Andrew Joseph Bates; one great grandchild; and brother, Robert Anderson. Friends and family are encouraged to share memories and condolences on Marie’s tribute page at PrayFuneral.com. The family is in the care of Pray Funeral Home in Charlotte. 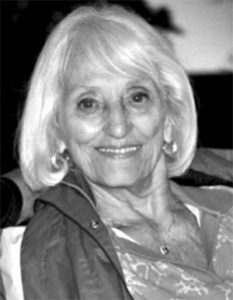 Dinah Kay Watson, an accomplished traveler who visited all 50 states, died January 5, 2019. Dinah, 75, of Charlotte, was born July 22, 1943 in Charlotte to Douglas and Helen (Hitt) Rickle. She graduated from Grand Ledge High School, and earned her associate’s degree. Dinah worked for two years as a hairdresser before she married Danny Watson on February 2, 1963. Dinah then worked for the State of Michigan until her retirement in 1999, and then worked in data processing at Auto Owners Insurance. The Eaton County 4H Fair was a big part of Dinah’s life, attending for 37 years proudly supporting her children and grandchildren. Everyone knew Dinah as a very caring person, always doing things for others and making family the center of her world. In her spare time, Dinah loved gardening, reading, baking, playing poker, eating out, attending musicals, and especially enjoyed time spent with her grandchildren. Her family laughingly says that she had a large collection of books, teapots, and other things that needed to be dusted. Dinah is survived by her husband of 55 years, Danny Watson; daughters, Debra (John) Bussard, and Rebecca Ruhlig; grandchildren, Victoria Ruhlig, Katie Bussard, Jeff Bussard and Paul Bussard; sister, Barbara (Dave) Root; and several nieces and nephews. She was predeceased by her son, Randy Jo Watson; and her parents. Memorial services were held Friday, January 11, 2019 at Pray Funeral Home in Charlotte, with Pastor Jordan Humbarger officiating. If desired, the family suggests memorial contributions to the American Lung Association or the American Heart Association. Friends and family are encouraged to share memories of Dinah on her tribute page at PrayFuneral.com. Charles “Chuck” Smith, 79, of Charlotte, passed away Tuesday, January 1, 2019, at the Henry Ford Allegiance Hospice Home in Jackson. He was born December 26, 1939 in Lansing, the son of Oliver and Flossie (Brendahl) Smith. Chuck graduated from Bath High School with the class of 1958. Soon after graduation he enlisted in the United States Marine Corps, where he proudly served his country. After his honorable discharge from the Marines, Chuck went on to earn his master’s degree in business from Michigan State University. On October 24, 1964, Chuck married the love of his life Marilyn Sue Lease in Eaton Rapids. They enjoyed 54 years together. Chuck loved his family and was especially fond of his grandchildren. He and Marilyn hardly ever missed being at the grandchildren’s sporting events. In his free time Chuck enjoyed woodworking and playing golf. Chuck was a devoted member of First Lutheran Church. He is survived by his wife, Marilyn Sue; daughters, Teresa (David) Johns of Charlotte, Amy (Jason) Engle of Spring Arbor; grandchildren, Torey (Kori) Johns, Taelor (Nate Davis) Johns, Tegan Johns, Tanner Johns, Jonah Engle, Jadon Engle, Alena Engle; great-grandson, Henry Johns; siblings, Joyce Powers, Jim Smith, and Irma Ash. Chuck was preceded in death by his parents; son, Charles Max Smith in 1969; and siblings, Barbara, Ellen, Carol Mae, and Jerry. Funeral services were held Friday, January 4, 2019, at First Lutheran Church in Charlotte. Interment followed at Maple Hill Cemetery in Charlotte. In lieu of flowers, contributions may be made to First Lutheran Church, 550 E. Shepherd St., Charlotte, MI 48813 or Lewy Body Dementia Association, 912 Killian Hill Road, S.W., Lilburn, GA 30047. 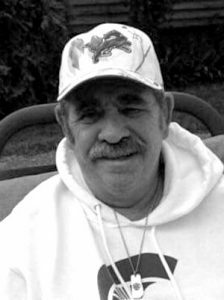 To view Chuck’s obituary online or to leave a condolence for the family, please visit burkhead-greenfunerlahome.com. 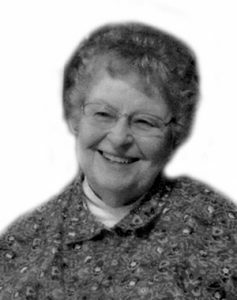 Mary Jo Gorsuch (Twitchell), 76, of Crystal, died January 9, 2019. Mary Jo was the daughter of Ford and Enid (Geisenhaver) Twitchell, born November 11, 1942 in Charlotte. She is survived by her brother, A.G. Twitchell; her children, Kurt (Lana) Hauffe and Dawn (Steffes) Hauffe and their father, Pete Hauffe; step-daughters Julie Anderson, Joy Gorsuch, and Jennifer Lison; 14 grandchildren; and four great-grandchildren. She was predeceased by her husband of 35 years, Lincoln Gorsuch on December 15, 2018. Mary Jo graduated from Potterville High School, Central Michigan University with a bachelor’s degree, and San Diego State University with a master’s degree. Her work history included the following schools: Grand Ledge, Harper Woods, Warren, Centerline, Saginaw and Carrollton Adult Ed, Rincon Indian Reservation in Valley Center, Calif. She returned to Michigan and taught at Potterville High School until her retirement in 1998. From 1986 to 2011, Mary Jo and Lincoln lived in an old log cabin on Thornapple Lake where many happy family gatherings took place. Following retirement, she and Lincoln traveled to California and Texas, finally settling in Zephyrhills, Fla., where they spent 15 years. During the years of 1985-1998 Mary Jo became active in community theater, performing with The ReVue in Vermontville, and the Thornapple Players in Hastings. She fell in love with the theater and expressed that these were some of the happiest times of her life. One of her favorite quotes was, “All the world is a stage.” Her other love was writing and during those years, she often wrote articles for local newspapers. She co-authored two books: Carrollton Centennial 1976 and Rincon Cook Book 1980. For her grandchildren, she compiled a collection of her childhood memories, entitled Notes To My Grandchildren. Friends are encouraged to support Mary Jo’s family at visitation and memorial services. Memorial services are Thursday, January 17, 2019, at 11 a.m. at Pray Funeral Home in Charlotte with Margaret Hollenbeck officiating. Visitation will be held two hours prior to the service. Friends and family are encouraged to share memories of Mary Jo on her tribute page at PrayFuneral.com. Charlotte Ann Towe, 84, of Charlotte, passed away Sunday, January 6, 2019 at Henry Ford Hospital in Detroit. She was born May 7, 1934, in Millet, Mich., the daughter of Jay and Helen (Kellogg) Lea. Charlotte graduated from Charlotte High School in 1954. Soon after graduation she married the love of her life Larry Lee Towe on January 14, 1955, at her parent’s home in Charlotte. In her younger years, Charlotte helped her mother out in her upholstery business here in town. Charlotte was a devoted caregiver. She gave of herself to ensure that others were always taken care of. Both her and Larry enjoyed taking numerous trips out west on their motorcycle. Charlotte adored her family and was especially proud of her grandchildren. Her faith in Christ was of utmost importance to her. She was a devoted member of the Gresham United Methodist Church for many years. Charlotte is survived by her husband of almost 64 years, Larry; children, Jeff (Sheryl) Towe of Charlotte, Cheryl (Kevin) Sobleskey of Charlotte, Beth (Lance) VanAuken of Charlotte, Ann (Kent) Austin of Charlotte, Bill (Tammy) Towe of Clarksville; 15 grandchildren; numerous great-grandchildren; and siblings, Jay (Donna) Lea, Ronald “Sonny” Lea, and Albert (Carolyn Toll) Lea. She was preceded in death by her parents; sister, Joyce Towe; and sister-in-law, Alvetta Lea who passed away just a few hours after Charlotte. Funeral services were held on Thursday, January 10, 2019, at Burkhead-Green-Kilgo Funeral Home in Charlotte. Interment followed at Gresham Cemetery. Those desiring, may make contributions in Charlotte’s honor to the Gresham United Methodist Church, 5055 Mulliken Road, Charlotte, MI 48813. 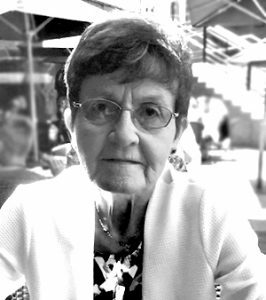 To view Charlotte’s obituary online or to leave a condolence for the family please visit burkhead-greenfuneralhome.com.